Copyright: © 2016 Tan J, et al. This is an open-access article distributed under the terms of the Creative Commons Attribution License, which permits unrestricted use, distribution, and reproduction in any medium, provided the original author and source are credited. Poor appetite and gastrointestinal symptoms are common amongst dialysis patients. Often, this can lead to protein energy wasting, malnutrition and adverse outcomes. This study attempted to investigate the occurrence of these symptoms in haemodialysis (HD), peritoneal dialysis (PD), pre-dialysis chronic kidney disease (CKD5-ND) and control participants. There were 306 participants in this study; 106 HD, 50 PD, 50 CKD5-ND and 100 control participants. Gastrointestinal symptoms were experienced by 81%, 72% and 51% of all End Stage Renal Disease (ESRD), CKD5-ND and control patients respectively (p<0.05). Poor appetite was reported by 10%, 26% and 1% of ESRD, CKD5-ND and control patients respectively (p<0.05). HD patients experienced more abdominal pain than PD patients and CKD5-ND patients were more likely to have dysgeusia. 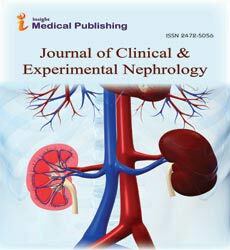 The occurrence of GI symptoms was not related to clinical variables (serum haemoglobin, albumin, urea and creatinine) but poor appetite was significantly associated to lower levels of serum urea and creatinine in dialysis patients (p<0.05). The presence of diabetes mellitus was associated with the development of GI symptoms, but not hypertension. This study has raised awareness of the varied demographics of patients with poor appetite and gastrointestinal symptoms and measures have been implemented to improve appetite and gastrointestinal symptoms through focused and concerted efforts by doctors, nurses, nutritionists and dieticians. It is hoped that such measures might be beneficial in improving long term prognosis and quality of life of dialysis and CKD patients. Patients with End Stage Renal Disease (ESRD) frequently complain of poor appetite and gastrointestinal symptoms. Patients with poor appetite have been linked with protein energy wasting (PEW)  and poor long term outcomes [2,3]. Poor long term outcomes could be related to cardiogenic complications relating to non-atherosclerotic cardiovascular disease . Likewise, patients with gastrointestinal symptoms can contribute to poor appetite , poorer quality of life , malnutrition  and psychosomatic diseases [7,8]. Many factors were implicated including underlying medical conditions (like Diabetes Mellitus), polypharmacy and psychosomatic symptoms. Few studies have reported on the differences between ESRD modalities (haemodialysis and peritoneal dialysis) with pre-dialysis (CKD5-ND) and control patients. We hypothesized that there were differences in how dialysis, CKD5-ND and control patients perceived their appetites and gastrointestinal symptoms. This cross-sectional questionnaire study was carried out to investigate these differences, with emphasis on correlations with demographic factors (gender, age and race), co-existing medical conditions (diabetes mellitus or hypertension), dialysis adequacy, serum haematological and biochemical parameters (haemoglobin, albumen, urea and creatinine). We hoped to use information from this study to promote dietary and nutritional changes to a targeted group of CKD patients in the hope of improving quality of life and long term survival outcomes. Inclusion criteria for the study include patients with ESRD who were undergoing HD or PD from the National Dialysis Centre. Additionally, CKD5-ND patients were recruited from our CKD clinics of the tertiary teaching hospital were invited to participate in the study. Exclusion criteria include patients less than 18 years of age, with a strong history of non-compliance with medication and treatment, with recent hospitalization (within 3 months) and have evidence of recent active infections (including bacterial and viral). Age and gender matched controls were family members or carers that accompanied the patients to dialysis centres and outpatient clinics. The study was conducted through a face-to-face interview to ensure that patients understood the questions and that immediate help could be obtained for them if the symptoms were deemed severe enough. Apart from demographic data, specific questions were asked about appetite (quality, changes) and gastrointestinal symptoms (taste, hiccups, satiety, nausea, vomiting, indigestion, abdominal pain, bloating, constipation and diarrhoea) in the last three months. Details on blood parameters, co-morbid conditions, medications and duration of dialysis were retrieved from medical notes. Most of the questions in the questionnaire required a ‘yes’ or ‘no’ response. Poor appetite is defined as decreased desire to eat any meals. For GI symptoms where there are several terminologies (dyspepsia, indigestion and heartburn), only the most commonly used terminology was used. For some of these symptoms, enquiries were supplemented with symptom descriptions (i.e. pain or discomfort located in the epigastric area for dyspepsia and in the retro-sternum area for heartburn) to confirm the presence of symptoms. For other GI symptoms, the terminologies were quite specific. Definitions of GI symptoms follow standard accepted definitions. Dyspepsia was defined as burning pain or discomfort that was centered in the epigastrium. Heartburn was defined as the presence of a retrosternal burning pain or discomfort with or without associated regurgitation. Nausea was defined as the sensation of wanting to vomit but without vomiting. Dysphagia and odynophagia were defined as difficulty in swallowing or feeling of food getting stuck after swallowing and painful swallowing respectively. Non-epigastric pain was defined as any other pain that is not centered in the epigastric region. Diarrhoea and constipation were defined as stool frequency of more than three times per day and less than three times per week respectively. Parts of this questionnaire have been used and validated in a similar study investigating the association between psychosomatic and lower gastrointestinal symptoms in dialysis patients . Data were coded and entered into the Statistical Package for Social Sciences program (SPSS) for analysis. Comparisons were made between patients from different modalities of RRT and controls for the presence of gastrointestinal symptoms and quality of appetite. Among patients with ESRD, correlations were made between co-existing medical conditions and dialysis parameters with the presence of GI symptoms and quality of appetite. Continuous variables were compared using either Student’s t-test or Mann-Whitney test, whereas the categorical variables were compared with x2 and Fisher’s exact test where appropriate. Level of significance was taken as p<0.05. A total of 306 respondents participated in the study. There were 106 HD, 50 PD, 50 CKD5-ND and 100 control participants. Hypertension (39%) and diabetes mellitus (35%) were the two primary causes of ESRD. The mean urea reduction ratio (HD patients), kt/V (PD patients) and body mass index were 0.7, 1.9 and 25.2, respectively. Routine blood tests showed mean serum haemoglobin, albumin, creatinine and urea of 9.6 g/dL, 35.3 g/dL, 818.3 Umol/dL and 18.0 mmol/L, respectively. There was a female preponderance (56% vs 44%). Other demographic data for ESRD patients were illustrated in Table 1. Table 1: Demographic and Clinical Factors of participants (HD, PD, CKD 5-ND and control that participate in the study); BMI= Body Mass Index; SD= Standard Deviation; IQR= Interquartile Range; HD= Haemodialysis; PD= Peritoneal Dialysis; a) The distribution is skewed to the right; b)Many patients have coexisting conditions especially hypertension and diabetes; URR= Urea Reduction Ratio; measures adequacy of renal replacement therapy for HD patients; >65.0% indicate a good dialysis; <65.0% indicates poor dialysis. Kt/V= Dialysis Efficacy; measures adequacy of renal replacement therapy for PD patients; >1.8 indicate a good dialysis; <1.8 indicate poor dialysis. 81% of all ESRD patients experienced GI symptoms, with early satiety (48%), indigestion (40%), nausea (30%) and constipation (30%) as the most commonly reported symptoms (Table 2). Compared to controls, ESRD and CKD5-ND patients were more likely to suffer from early satiety, nausea, vomiting, indigestion, constipation, change in taste (dysgeusia) and poor appetite (all p<0.05). Additionally, CKD5-ND patients had worse appetite and dysgeusia than ESRD patients (Table 2). HD and PD patients had similar incidence of GI symptoms and poor appetite, but the former group were more likely to experience abdominal pain (Table 3). The occurrence of GI symptoms was not related to clinical variables (serum haemoglobin, albumin, urea and creatinine) but poor appetite was significantly associated to lower levels of serum urea and creatinine (Table 4). There was also a non-statistically significant relationship between poor appetite with serum haemoglobin (p=0.164) and serum albumin (p=0.142). Diabetes mellitus was associated with more GI symptoms but not with poor appetite. Table 2: Comparison of GI symptoms and appetite in dialysis patients, CDK5-ND and control patients; a) Chi-square test for independence; GI= Gastrointestinal symptoms;*Poor Appetite: Very good, good and fair appetite = NO, poor and very poor appetite = YES; CDK5-ND= chronic kidney disease stage 5 - non-dialysis. Farhana et al / 2014 / Brunei 100 HD patients, Constipation is more common among HD patients. Strid et al / 2002 / Sweden  128 HD patients, PD patients have more severe reflux and eating dysfunction. Dong et al / 2014 / China / World Journal of gastroenterology  182 HD patients PD patients have higher reflux and eating dysfunction. Table 5: Literature review of studies comparing GI symptoms in HD and PD patients. This study showed that ESRD and CKD5-ND patients were more likely to experience poor appetite and GI symptoms than controls. These findings were not unusual and have been reported in numerous case series. The uniqueness of this study lied with the fact that we were able to compare prevalence of symptoms in ESRD patients with pre-dialysis (CKD5- ND) patients and controls. Whilst the literature was almost unanimous in reporting a higher prevalence of GI symptoms in ESRD patients, there were inconsistencies in reporting prevalence between HD and PD patients. Our literature review from pub med revealed 8 studies investigating the differences between these two groups of patients (Table 5). The general feeling was that PD patients were more likely to get reflux symptoms [10-14]. HD patients, on the other hand had more constipation [10,14] and abdominal pain [8,15]. This study confirmed the association of abdominal pain with HD, but not other symptoms. Our local experience indicated that this could be related to non-occlusive mesenteric ischaemia (NOMI) which has been seen in numerous patients under our care. We suspected that this often under-reported phenomenon was particularly prevalent in our HD population due to numerous factors like intra-dialytic hypotension (leading to splanchnic hypoperfusion) and inherent atherosclerotic risks of patients. The interviews were also carried out during or after the time patients had dialysis and this might have inadvertently increased the likelihood of abdominal pain reporting. Interestingly, there was no major difference in perception of GI symptoms between ESRD and CKD5-ND patients. Quite understandably, pre-dialysis patients experienced a greater change in taste (dysgeusia) possibly related to oral and salivary changes caused by high concentration of urea in the saliva which is broken down to ammonia by urease [16,17]. Presumably, dialysis will partially correct the uremia leading to tolerable dsygeusic symptoms in the prevailing dialysis population. CKD5-ND patients also suffered from poorer appetite compared to ESRD patients, likely from uncorrected uremia and poorer psychosocial mental state (usually arising from anxiety from having to start dialysis soon). Like the dialysis population, CKD5-ND patients experienced more overall GI symptoms and had poorer appetite than controls. This was consistent with other studies which investigated GI symptoms in CKD patients [7,18]. The prevalence of GI symptoms in ESRD patients is well described. The aetiology is likely to be multifactorial ranging from effect of ESRD and treatment on the GI tract, diet, medications and other co-morbid conditions. A similar study was conducted in 2010 which compared GI and psychosomatic symptoms between HD patients and controls in the same population . This study confirmed that GI symptoms were common among Asian patients but did not make comparisons with appetite nor with PD patients and CKD5-ND patients. The motivation to emulate and improve on the previous study was to provide evidence for a more targeted approach on improving nutrition and well-being in the sub-set of dialysis population that were anorexic and malnourished. Protein energy wasting (PEW) has previously been demonstrated in a similar dialysis population in Malaysia where poor appetite was associated with patients with lower lean tissue and fat mass, lower levels of serum urea and creatinine, higher dialysis malnutrition score and poorer physical and mental health scores . Protein energy wasting has been widely accepted as a major factor in determining prognosis of dialysis patients . The evidence for increased mortality was similar in both PD  and HD  patients. The study also revealed that poor appetite was not limited to dialysis patients as CKD5-ND patients also displayed similar anorexic symptoms, consistent with other studies published . Another study reported that poor appetite affected survival in PD patients but not CKD5-ND patients . The results of this study have heightened our awareness of poor appetite in our patients, particularly those with lower levels of serum urea, creatinine and albumin. This has enabled us to help through a more targeted and concerted approach by selectively counselling and providing intensive nutritional support for patients in need of such interventions. We are now more likely to refer patients to gastroenterology to evaluate and alleviate resistant GI symptoms and to investigate potentially reversible GI tract triggers. This study is limited by the small number of PD (n=50) and CKD5-ND (n=50) participants. The country only has about 60-70 PD patients  and the majority has been recruited for this study. We also felt that some of the CKD5-ND patients were afraid to disclose any symptoms to our doctors because they fear that it may lead to them being started prematurely on dialysis. On the other hand, there may be some recruitment bias in the participation selection process. Patients who have GI symptoms or poor appetite were more likely to volunteer to participate as they might have hoped that the researchers might be able to intervene and alleviate their problems. We also felt that the face-to-face nature of the interview make patients more likely to disclose and confide latent GI symptoms that would not have been revealed otherwise. Our study confirmed that our ESRD and CKD5-ND patients had high prevalence of GI symptoms and poor appetite. CKD5- ND patients also had symptoms associated with poor or change in taste. Abdominal pain was more common in HD patients and poor appetite was associated with lower levels of serum urea and creatinine. A more concerted and focused approach towards dealing with anorexia and malnourishment in dialysis patients has been advocated in light of the findings of this study and we hope that this will result in improvement in quality of life and long term prognosis. Carrero JJ (2013) Etiology of the protein-energy wasting syndrome in chronic kidney disease: a consensus statement from the International Society of Renal Nutrition and Metabolism (ISRNM). J RenNutr. 23: 77-90. Moreau-Gaudry (2014) a simple protein-energy wasting score predicts survival in maintenance hemodialysis patients. J RenNutr. 24: 395-400. Mazairac (2011) a composite score of protein-energy nutritional status predicts mortality in haemodialysis patients no better than its individual components. Nephrol Dial Transplant. 26: 1962-1967. Dreschler (2011) wasting and sudden cardiac death in hemodialysis patients: a post hoc analysis of 4D (Die Deutsche Diabetes Dialyse Studie). Am J Kidney Dis. 58: 599-607. Bossola (2011) Appetite and gastrointestinal symptoms in chronic hemodialysis patients. J RenNutr. 21: 448-454. Ponticelli (2010) gastrointestinal symptoms impair quality of life in Italian renal transplant recipients but are under-recognized by physicians. Transpl Int. 23: 1126-1134. Strid (2002) the prevalence of gastrointestinal symptoms in patients with chronic renal failure is increased and associated with impaired psychological general well-being. Nephrol Dial Transplant. 17: 1434-1439. Kahvecioglu (2005) High prevalence of irritable bowel syndrome and upper gastrointestinal symptoms in patients with chronic renal failure. J Nephrol. 18: 61-66. Chong VH, Tan J (2013) Prevalence of gastrointestinal and psychosomatic symptoms among Asian patients undergoing regular hemodialysis. Nephrology (Carlton). 18: 97-103. Yasuda G (1995) Constipation occurs less frequently in CAPD patients than in HD patients. Perit Dial Int. 15: 283. Cano AE (2007) gastrointestinal symptoms in patients with end-stage renal disease undergoing treatment by hemodialysis or peritoneal dialysis. Am J Gastroenterol. 102: 1990-1997. Strid (2009) Impact of dialysis on gastroesophageal reflux, dyspepsia, and proton pump inhibitor treatment in patients with chronic renal failure. Eur J GastroenterolHepatol. 21: 137-142. Anderson JE (1999) Prevalence of gastroesophageal reflux disease in peritoneal dialysis and hemodialysis patients. AdvPerit Dial. 15: 75-78. Dong R (2014) Gastrointestinal symptoms: a comparison between patients undergoing peritoneal dialysis and hemodialysis. World J Gastroenterol. 20: 11370-11375. Salamon K (2013) peritoneal dialysis patients have higher prevalence of gastrointestinal symptoms than hemodialysis patients. J RenNutr. 23: 114-118. Kaushik A (2013) Oral and salivary changes among renal patients undergoing hemodialysis: A cross-sectional study. Indian J Nephrol. 23: 125–129. Klassen JT, Krasko BM (2002) the dental health status of dialysis patients. J Can Dent Assoc. 68: 34–38. Vlem VB (2000) Delayed gastric emptying in dyspeptic chronic hemodialysis patients. Am J Kidney Dis 36: 962-968. Sahathevan (2015) Assessing protein energy wasting in a Malaysian haemodialysis population using self-reported appetite rating: a cross-sectional study. BMC Nephrol. 16: 99. Oliveira CM (2015) Correlation between nutritional markers and appetite self-assessments in hemodialysis patients. J RenNutr. 25: 301-307. Huang B (2014) Diminished appetite predicts mortality of Chinese peritoneal dialysis patients. Biol Res Nurs. 16: 241-249. Kalantar-Zadeh (2004) Appetite and inflammation, nutrition, anemia, and clinical outcome in hemodialysis patients. Am J ClinNutr. 80: 299-307. Chan M (2014) A high prevalence of abnormal nutrition parameters found in predialysis end-stage kidney disease: is it a result of uremia or poor eating habits?. J RenNutr. 24: 292-302. Gamma-Axelsson T (2013) Self-rated appetite as a predictor of mortality in patients with stage 5 chronic kidney disease J RenNutr23: 106-113. J Tan (2014) renal replacement therapy in Brunei Darussalam: comparing standards with international renal registries. Nephrology (Carlton). 19: 288-295.